Director Vijay's next movie after Madharasapattinam is with Vikram. Titled Deva Magan (Ra...Ra) not yet confirmed, this movie will be filmed in a very short span of time. It is also rumored that the movie will be completed in a single schedule. 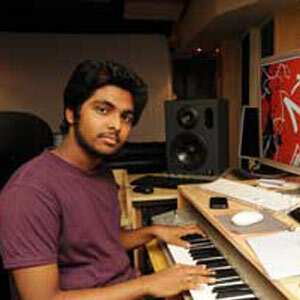 While the pre-production work is in full swing, the music director of the movie G.V. Prakash has already taken a step forward. Movie is produced by Mohan Natarajan. It is being told that G.V. Prakash has finished composing two tunes for the movie already. Well begun is half done, they say.